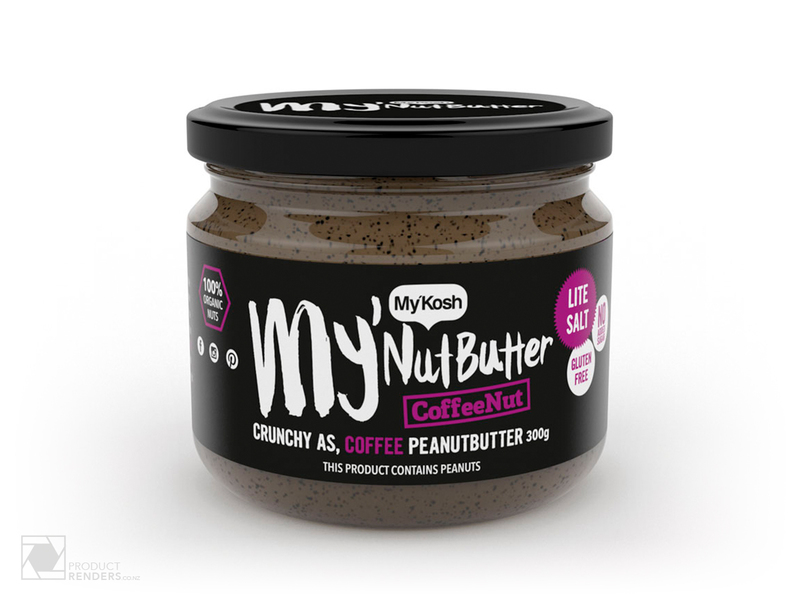 ProductRenders was asked to produce a master jar and lid for MyKosh MyNutButter range of peanut butter. Print ready label artworks were provided by the client and both singular and group renders were produced. 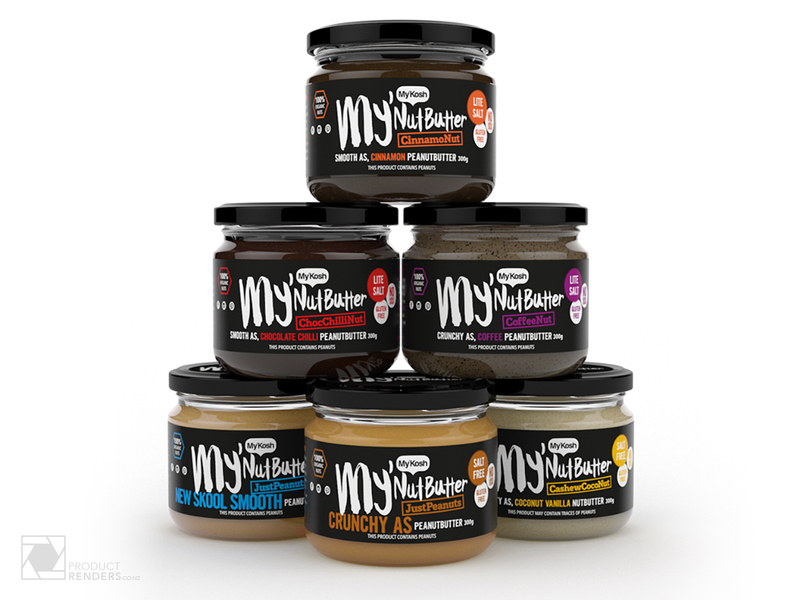 All renders came in under budget compared to traditional photography and with the added bonus of being 3 times the resolution of traditional photography. Now that MyKosh has a standard model made in 3D they can easily add more flavours to its yummy range. Every new render can have the same perfect lighting and reflections as these, and save them almost 30% per render compared to traditional photography without the need for hrs of additional retouching. 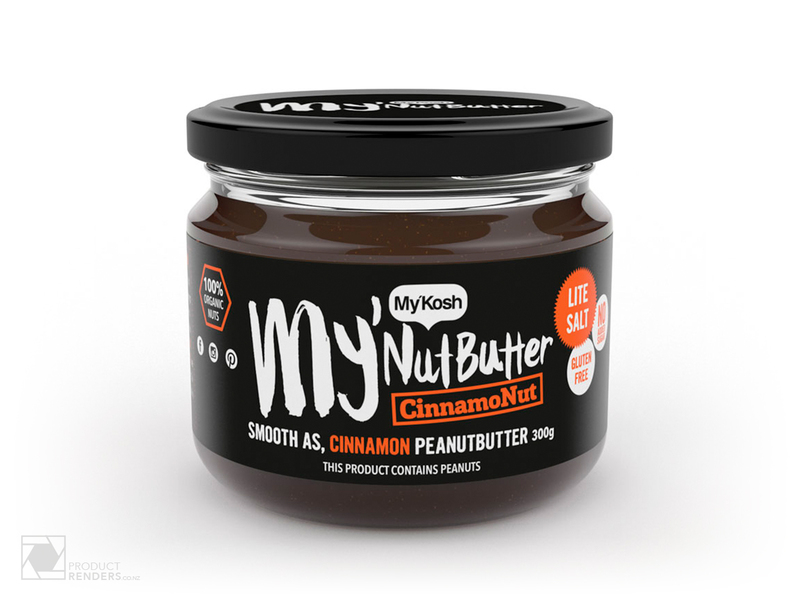 This is not only perfect for consistent brand imagery but this allows for product testing even before expensive product manufacturing is even on the table.